The parents or guardians agree to pay tuition for the number of days the student has been enrolled in the District if the student does not establish residency within the District during the school year. Moving Out of the District. A student who moves out of the Urbandale District may continue enrollment in the District tuition-free as an open enrollment “continuation student.” The parent or guardian shall file an application with the new district of residence and with the Urbandale District by the date required under the Open Enrollment Act. 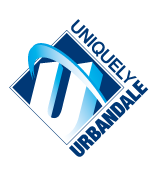 Students who are 11th or 12th graders who move out of the District need only notify the Urbandale District. The parents or guardians shall be responsible for transportation for students who reside outside of the District. Tuitioned Students. Students who do not qualify for tuition-free enrollment in the District pursuant to this Policy or Policies 503 or 626 may enroll in the District at the discretion of the Superintendent of Schools and upon payment of tuition. The tuition rate shall be the current per pupil cost as authorized by the Iowa Department of Education. Tuition shall be due and payable in advance of each semester, unless alternative arrangements are made with the Superintendent.